If you’ve never thought of decorating with dollar store finds because you thought it was kitschy, (or just plain cheap looking) then think again. These clever bloggers used dollar store finds and a few craft supplies to create DIY dollar store decorating hacks you can be proud to have in your home. So head out to your nearest dollar store with a list in hand, and spend some time making these creative projects! From is from Renee at ‘Wedding by Color’. 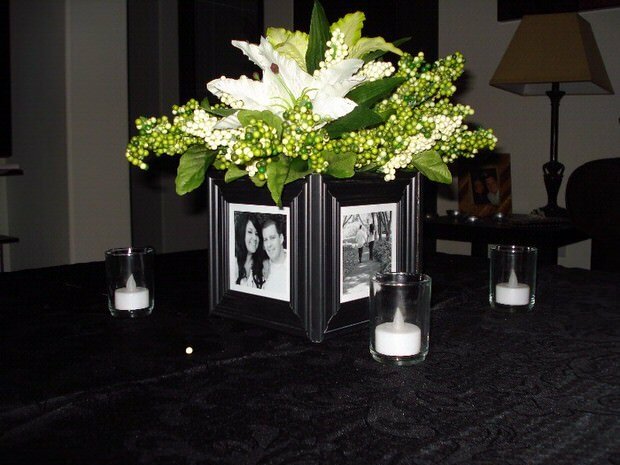 She has great tips for making these photo frame centerpieces. 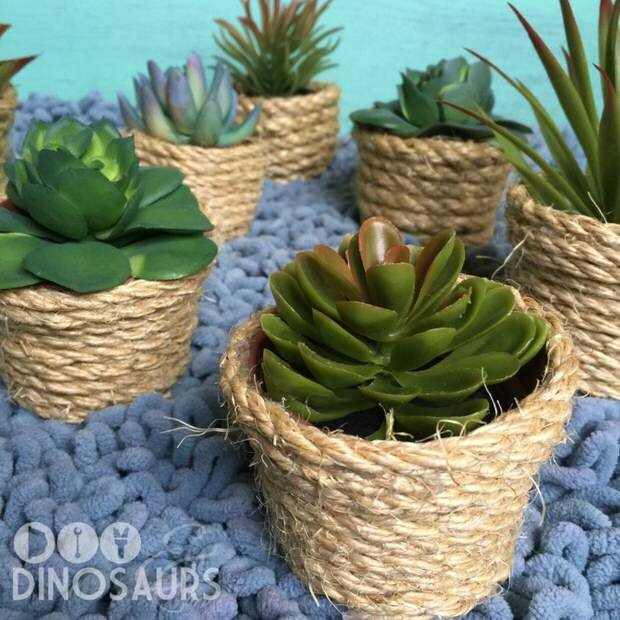 This flower pot makeover from ‘DIY and Dinosaurs’ would work with any ugly pot and some dollar store twine or rope. 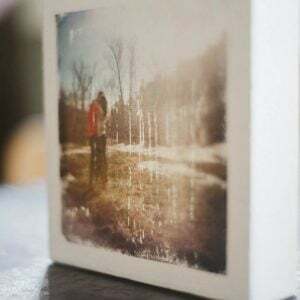 This is a really easy project that costs very little and dresses up the details. 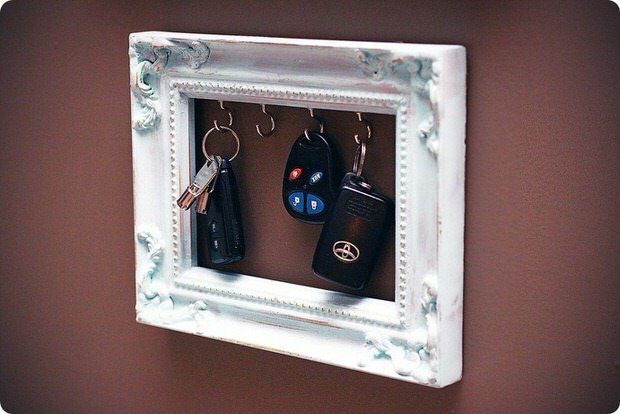 From ‘The Purple Carrot’, this DIY frame key holder is the perfect example of a dollar store decorating hack. So easy! You can get the cup hooks at the dollar store as well. 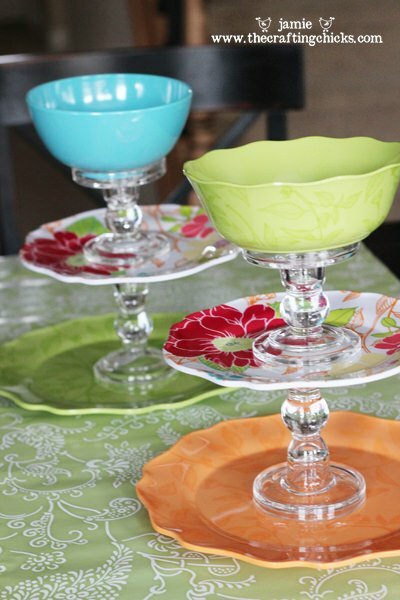 These DIY treat stands from Jamie at ‘The Crafting Chicks’ (we love them!) are the cutest! 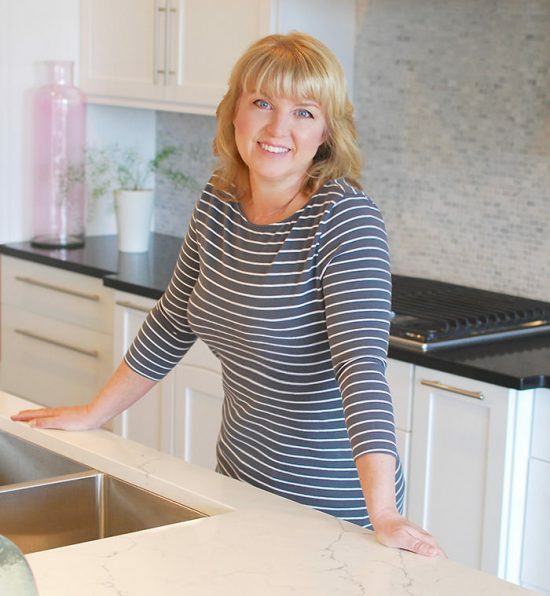 I LOVE the colors and fun patterns, but you could also make yours look more traditional or modern using all one color, or all white. 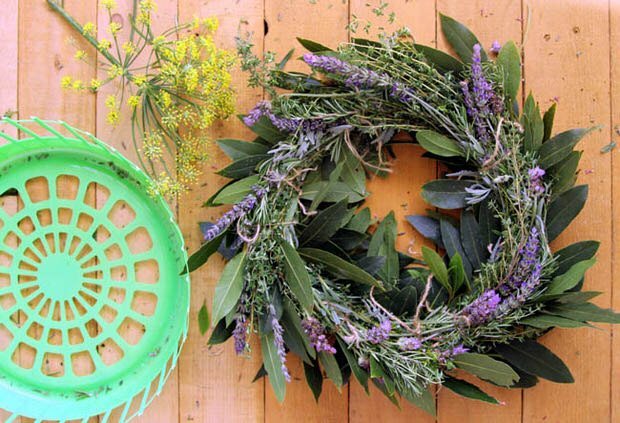 Make herb wreaths fast with this dollar store hack from Ananda at ‘Piece of Rainbow’. This is a genius tip, You could use it to make a centerpiece too… I love herbs, loving this project! 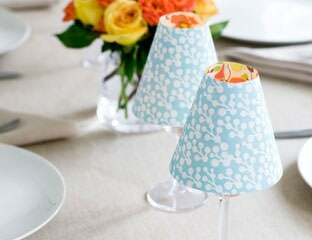 These candle lampshades use a wine glass, LED tealight, a piece of scrapbook paper and some glue… All of which you can get at the dollar store! Directions and a template for the shade can be found at ‘Good Housekeeping’. 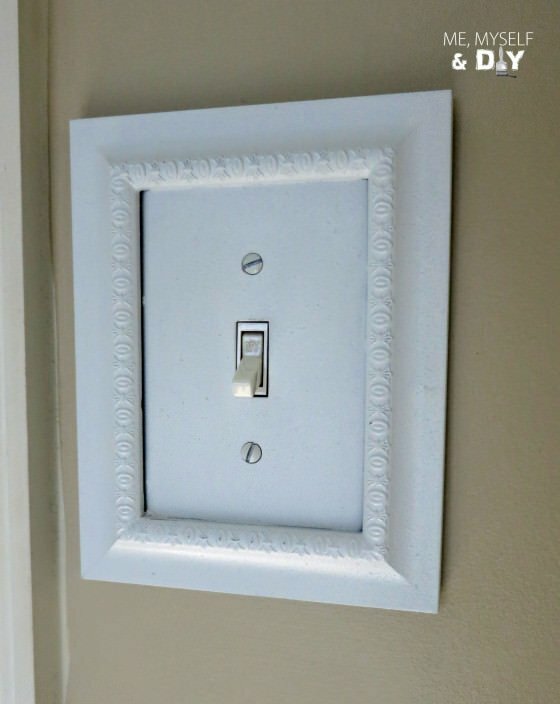 From ‘Me, Myself and DIY‘ use dollar store frames to fake molding around your switch plates for a custom look. 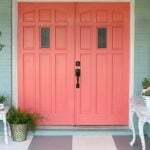 Check out their tips on painting and caulking them. 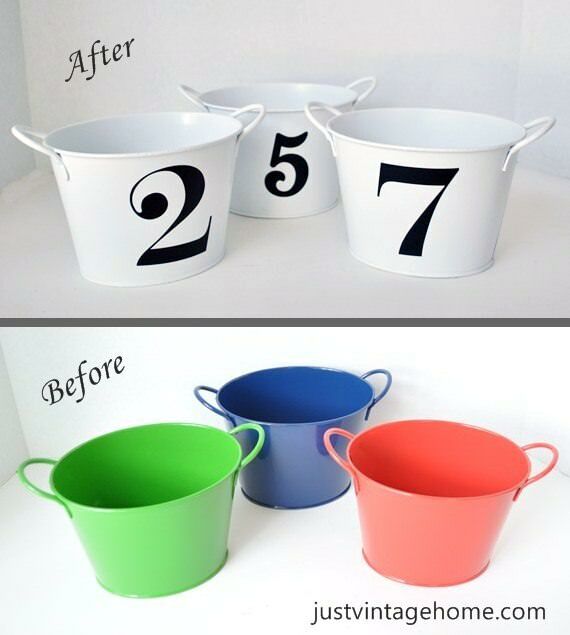 Wanda at ‘Just Vintage Home‘ does a great job taking these dollar store buckets and making them into amazing storage containers! You can even get those vinyl numbers at some dollar stores, otherwise, hit up any craft store. 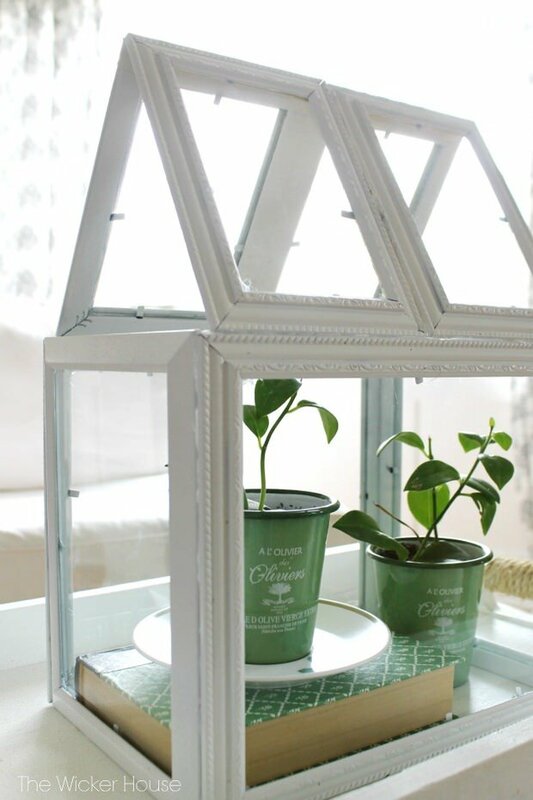 Emily at ‘The Wicker House’ via ‘Ella Claire Inspired’ brings us this great tutorial for her version of a DIY picture frame greenhouse. This turned out so cute! Her instructions are really clear with lots of photos, so give this DIY dollar store decorating hack a try! Ok, ready to start crafting for Christmas? 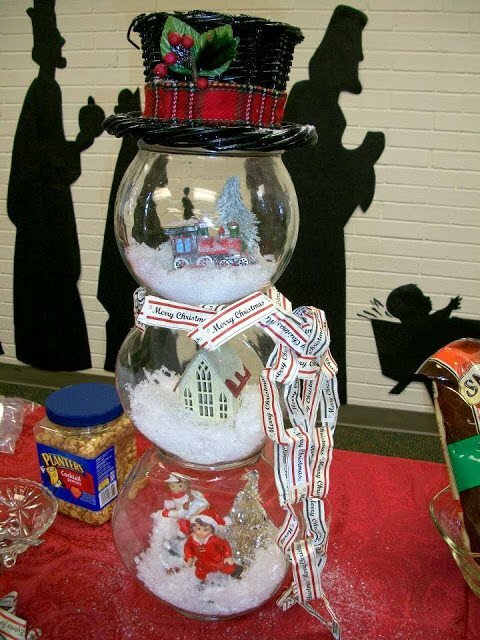 This is so adorable… This DIY fish bowl snowman from ‘Prior Lives’ is such a great project, you could sell it at craft fairs. Some other bloggers have suggested making fairy gardens with this same idea. 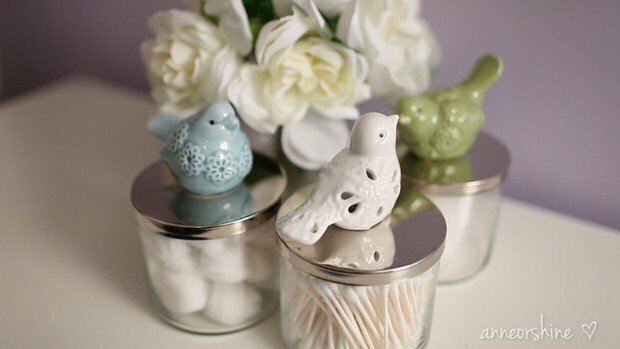 Last, from ‘Life Ann Style’, these DIY candle jar storage projects are so simple, and I happen to love birds, so this is on the short list for my bathroom! Love DIY dollar store decorating ideas? 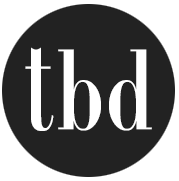 Then check out our post on Dollar Store DIY and DIY Dollar Store Organizing! So many great ideas. Thanks for sharing these. Thank you, I’m so not creative at all. I would have never thought of these ideas. What a wonderful set of ideas! 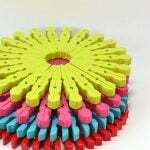 – I would shop at the dollar store for something unusual and sometimes, it is amazing what you can find. I especially like the little greenhouse shown here that is made of photo frames. Who would have thought of that! Thank you for the informative pictures!